You know you’ve reached adulthood when you can get excited about a domestic appliance, and I’m a little bit embarrassed about how much I love my new AEG cordless vacuum cleaner from ao.com! I live in part of an old hospital, and obviously part of the appeal was big rooms, but having come from a little flat my old vacuum has never been up to the job- I have persevered as it cost me a lot of money when I bought it 12 years ago, but in reality it’s meant that I have grown to DREAD vacuuming the house as it is such a mission! In order to do the whole house I needed to plug the old one into 7 different plug points, and for 1 room with no plug points I even had to get out my extension lead! So it’s pretty obvious really that getting a cordless vacuum was going to make a big difference to me, but now I know how much of a difference I can’t believe I didn’t do it sooner to save myself a lot of time! The AEG FX9 ultimate reach vacuum cleaner is very good looking, it’s dark, discreet and slick looking. It sits unobtrusively in its own charging station, which fits neatly behind a door or in a corner. Once it is fully charged, it can operate for up to 60 minutes before needing recharging. 60 minute battery time once charged: I haven’t really needed as much yet, as this is so efficient that I can vacuum the whole house in about 15 minutes now-it used to take me about an hour! Suction power adapts to the surface it is on. My house is a mix of hardwood floors, rugs and carpet and the vacuum cleaner is able to adapt to provide the right level of suction for the surface you are dealing with! Very flexible main unit: Not only is this highly manoeuvrable with very little effort, you can actually pay the main body completely flat so that you can reach under surfaces such as sofas and beds! And even better, there is a fancy torch on the front so that you can actually SEE under those dark surfaces too- ideal for spider season so you can check for them before accidentally vacuuming them up! The handle is extendable- so my 8 year old and 5 year old can use it with ease, and my husband can’t complain that it hurts his back! The small and neat look of the appliance, and it’s light weight, mean that the canister which holds you household dust/debris and hair is fairly small, I have found that I need to empty it after each use (although our yellow rug, and the 3 females in our household shed a LOT of hair, so this may not be the case for everybody!). The AEG cordless vacuum can lie flat to reach under sofas and beds! Overall, I think this is a fantastic appliance- it feels well-made, and it handles beautifully; it’s convenient to do a quick runaround of the house, although the battery will last for a full and thorough vacuum. The lie-flat function means you really can reach in most spaces without moving furniture, and the high level of suction and adaptability mean it’s also ideal for cleaning cars. The petite head size also makes it perfect for quickly vacuuming the stairs! Disclosure: This post was sponsored by ao.com- I was given this product to use and keep in exchange for an honest review.All words and images are my own. 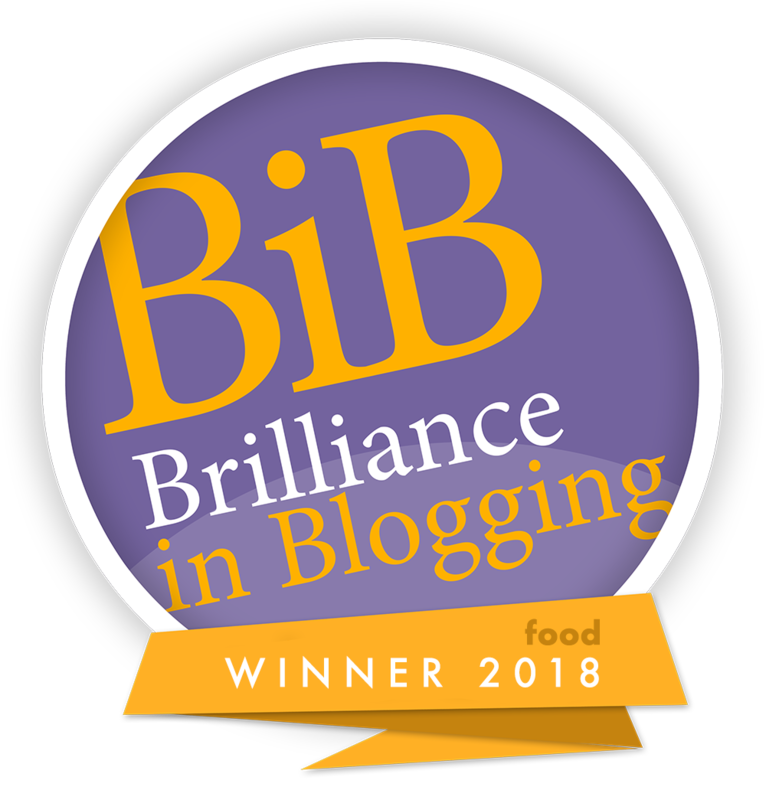 The Britmums Brilliance in Blogging awards 2018- winner of the food category! No Replies to "Review of the AEG FX9 Ultimate Reach FX9-1-IBM Cordless Vacuum Cleaner"